Gone are the days of the single paycheque. With rising costs of living across the globe, and salaries that don’t quite cover the bills, many young people are engaging in “side hustles” to supplement their income. Side hustles include any income generation alternative to full-time work, from freelance photography or writing, influencer work, DJing, part-time modeling, extras acting to traditional “piece jobs” like babysitting and dog walking. These “gigs” can pay some sizable income, but because of their tendency to be inconsistent, many who earn extra cash tend to spend it as fast as they get it. “One of the biggest problems I have with spending is that when I get money in my account, I want to spend it,” says Bradley Richardson, a full-time student and extra-time videographer. Andre Wentzel, Solutions Manager at Sanlam Personal Finance, says, “it’s easy to waste smaller amounts of money because we don’t believe that it will make a difference to our overall financial well-being. But the reality is that these can in fact add up to substantial savings”. We asked Richardson, and two other “influential” slashers (people who have side hustles) to share some of their top tips for making their side hustle income work as hard as they do. Whether it is through putting more time and energy into your side hustle or getting more equipment to improve your work – SABC2 Motswako’s TV host, Sechaba Gqeba (famously known as Sechaba G), whose side work is as an MC, radio presenter and voice artist, agrees with Richardson that discipline yields high rewards. Chasing unpaid invoices is a task possibly enjoyed only by those whose sole job it is. But for side hustlers like Seth Shezi, creative director, lifestyle brand strategist, writer and photographer, it’s a pain. “It’s not a task I relish and, in the past, I have often left some invoices unpaid because I was worn down from chasing clients for payment”, but the side business, like any other, requires a stringent focus on invoicing correctly, and getting paid on time. “This year, I’ll even chase the payment of a job that earned me R500 if need be”, says Shezi. Saving is hard. It can be even harder when you are not saving toward a specific goal. Sechaba G explains that goal-based saving is saving toward a specific long-term or short-term goal and says that it is important to put money away to prevent a “sticky” financial situation. “When I wanted to buy myself a new camera, I put all my earnings into a savings account that I couldn’t dip into and once I had enough, I withdrew the funds and went to buy the camera. It was an amazing feeling,” says Richardson of his recent goal-based saving experience. 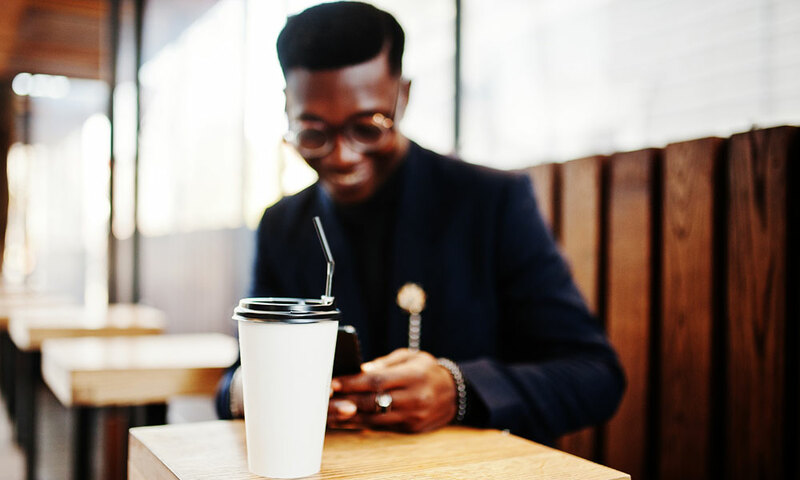 Big goals are sometimes daunting, but Sechaba G says that there are ways to make these achievable, “Such as creating a savings account for your birthday party and mandating monthly contributions toward it”. Shezi says that it’s important to define a consistent spending pattern, “instead of spending less when I have less and living ‘vida loca’ when I have surplus – this year I’m paying myself a fixed salary and putting all excess monies away and only dipping into it if I need it or for travel or other special occasions”. Lasting wealth is built brick by brick – small or large contribution by contribution into a rewarding investment tool. Slashers sometimes miss the opportunity to build sustainable wealth, as they often undermine the time value of their income. Sechaba G is not making that mistake. “This year, I want to look at saving in the form of a lucrative investment”. You want your investments to work as hard as you do but deciding where to save and invest your extra income can be daunting. You’ll do well to speak to a qualified and accredited financial planner for advice. Be careful not to follow popular trends when it comes to what to do with your money. There are many worthwhile savings options, but if it looks and smells too good to be true, stay away. Seriously consider paying off debt, especially short-term debt like credit cards as they have high interest rates. The less you owe in interest, the more you’ll be able to make headway with your savings plan. You’re never too young to start saving for your retirement and, remember, the earlier you start the earlier you may be able to retire and chase your other interests, hobbies and dreams!